Vice-Minister of Education and Science. The Republic of Kazakhstan. From 2005 to 2010 he was an expert of the socio-cultural development, chief expert, then deputy head of the Department of Industrial and Innovation Development Office of the Prime Minister of Kazakhstan. 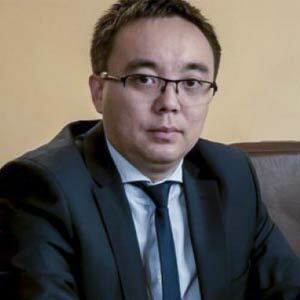 In the years 2012-2015 he was a Deputy Chairman of the Board of JSC “National Agency for Technological Development”, and in the years 2015-2016 he was a General Manager for Kazakhstan “TIMWE International” international telecommunications company.